(3) Nightmare of the Apocalypse. Two pamphlets are also available. 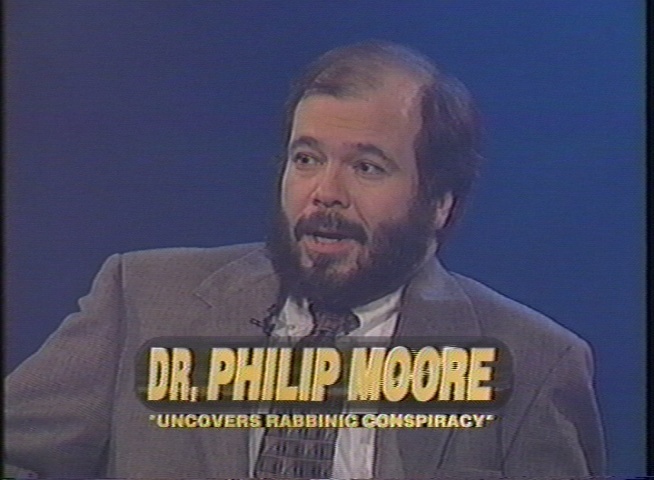 Dr. Philip Moore was a researcher for Hal Lindsey and is internationally recognized as one of the leading researchers in prophecy as it relates to ancient and modern Jewish history. Take Philip Moore's Video Tour of Israel with Hal Lindsey! VIDEOS - FREE FOR DOWNLOAD! 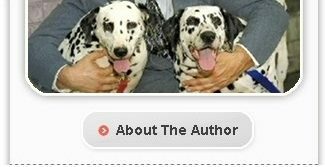 Meet the Smartest Dog in the World! Watch FREE Video of "Pooki"
If you have seen Part One of a car coasting up a hill in Israel with its engine in neutral on YouTube, click on the top right image to see Part Two. Part One is the image on the top left. The road may be the road mentioned on a blog in an article titled "A New Bewitched Road In Israel Has Been Found". It says in the article that it's "a small road in Jerusalem, located under the Armon Hanatziv Promenade in the Jabel Mukaber neighborhood of Jerusalem," which is approximately where this footage was filmed. In order to view the video files, you have to have Quicktime installed on your computer, or another software that plays MP4 files. You can download Quicktime Player for Mac or Windows here: http://www.apple.com/quicktime/download/. 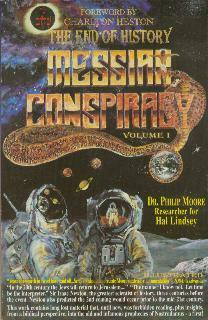 This 1200 plus page work contains incredible evidence of the greatest conspiracy of all time - The Messiah Conspiracy, whereby the rabbis of early times sought to cover up the prophecies of their own Bible which indicated that Jesus was their Messiah. The motives behind this are both fascinating and shocking! In the little known town of Yavne, a curse was devised to separate Jewish believers from non-believers, yet they persisted past our fourth century in notable numbers. Today they are re-emerging amidst heavy-handed anger in the rabbinical community. We cannot be neutral! This book also contains a chapter on Sir Isaac Newton’s, Biblical commentaries with regards to Jesus' second coming as Messiah to save the Jewish people from an attempted annihilation by the Anti-Christ in our 21st century. (see chapter 11 “Newton’s forbidden works rescued”). The Anti-Christ is also known by the name: Armilus in the ancient rabbinic literature, (see chapter 23: “The False Messiah Armilus Equals Anti-Christ”). Recent Biblical archaeological discoveries proving the Bible’s authenticity, including a photo of the high priest Caiaphas’ (who put Jesus on trail before the Sanhedrin), nearly 2000 year old ossuary discovered in 1990 are also displayed. Read Portions of Each Chapter FREE! 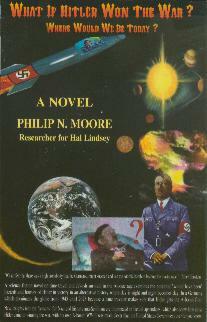 A science fiction novel on time travel and Jewish survival in the Atomic age. What If Hitler Won The War examines the potential "would have been" hazards and horrors of Hitler in victory in an alternative history, where day is night and night becomes day, in a Germany which dominates the globe from 1945 until 2025, because a time traveler makes sure that Hitler gets the A-bomb first. This book contains over 200 pages of appendices which factually exposes how close Hitler came to winning. This was much closer than our government let us know. Truman bombed Japan, not only to save a large number of people on both sides, but also because he felt the Japanese would first use the A-bomb they were attempting to build with Hitler on America. This thought is advanced by UPI reporter Lawrence McQuillan in the book, Japan's Secret War, by Robert Wilcox, which we quote. Our book, What if Hitler Won the War, shows that Hitler's claims of malice against the Jews were false, and that he could not have won the war because the Bible predicts victory for the Jews at Armageddon (Megiddo, Israel) when the Messiah will return, which is approximately 30 years to our future. If Hitler had obtained the bomb first and won the war, there would be no Jews on earth today, and the Bible's prophesy concerning their return, and Jesus' future coming to save the planet and convene the resurrection (Mark 14: 61-62; Daniel 7:13-14; 12:1-4; John 6: 40), would not have had the possibility of being fulfilled — God forbid! Hebrew prophecies regarding Jesus' two Messianic Comings--The Apocalypse and Israel are briefly covered and compared with rabbinic anti-missionary arguments. Our first chapter gives irrefutable proof of Jesus' Hebrew lineage, showing His Biblical credential of Solomonic descent through David's line as ironclad proof in accordance with a prophecy found in Jeremiah that only He can be the Jewish messiah, who appeared 2000 years ago and will be returning to establish peace in our foreseeable future. Germ warfare (for a 'peaceful depopulation'), Petra and abortion are also discussed within a context to the End Times. 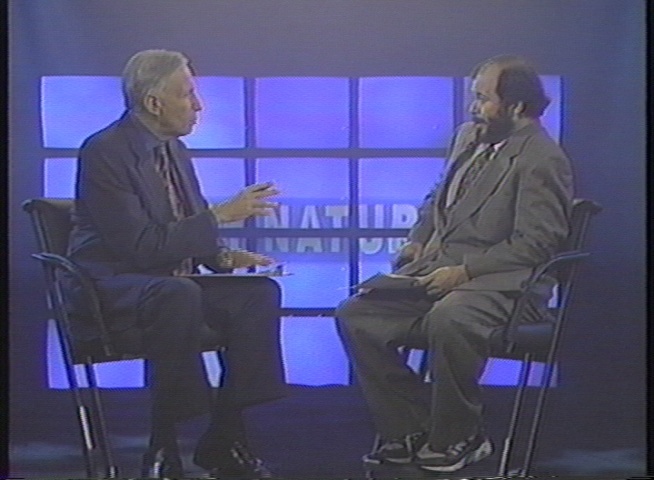 A lecture by Rabbi Johnathan Cahn and a discourse on the Divine signs encoded within the stars, by Dr. D. James Kennedy, are included. This book proves that once saved really does mean always saved, as it illustrates this truth through Biblical verses in both testaments. A Hebrew Bible code from the book of Genesis (not that of Drosnin), predicting the 1995 assassination of Israeli Prime Minister Yitzhak Rabin is examined in detail. This code numbers the bullets that struck Rabin! When Rabin’s initials are removed from the assassin’s name, Egal Amir then reads “gal ami”, which translates to “national hero”. Many religious conservatives in Israel acclaimed Amir a hero for preventing the giveaway of God's land -through Rabin's anticipated action- to those whom God did not grant it (see Genesis Chapters 15-17 and 35; Ezekiel Chapters, 36-39; Matthew 19:28; 24 and Acts 1:6-11 in the Bible). This short treatise quotes Hal Lindsey, M.R. DeHaan, M.D., Reverend Clarence Larkin, Gedaliah Alon, the Apocalypse of Peter, and of course, Jesus Himself, all of whom provide evidence that the liberal "Christian" attack, which continues to claim that modern Israel is not the fulfillment of Bible prophecy, is in error! Gary Demar and David Chilton, of the "Christian" Reconstructionist Movement (CRM), who also hold this view, are thoroughly refuted, as we demonstrate from the scriptures that their claim cannot possibly stand. It is our firm belief that the CRM, with their dangerous doctrines of deceit, is an anti-Semitic movement and should be exposed by the true Christians for the falsehoods it teaches, preaches and propogates among the laymen of today.